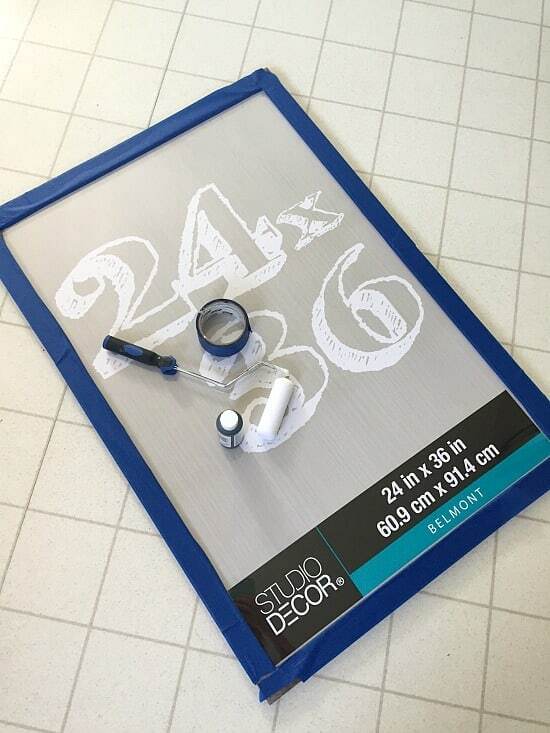 I’ve another simple, fun and best of all CHEAP project for you today – a Large DIY Framed Chalkboard! I’m loving all things farmhouse and fixer upper right now so I’ve been adding a few rustic farmhouse style pieces here and there. I’ve been lusting after a LARGE chalkboard for ages but they are super expensive. I knew I could easily DIY one from a picture frame and some chalkboard paint (I’ve done it on a small scale before) but it took me ages to find one that was large enough. Eventually I found this one at Michael’s. It’s so perfect for this project because it only cost me $10 after a coupon, it already has a rustic frame and there’s no real glass, just a plastic covering. 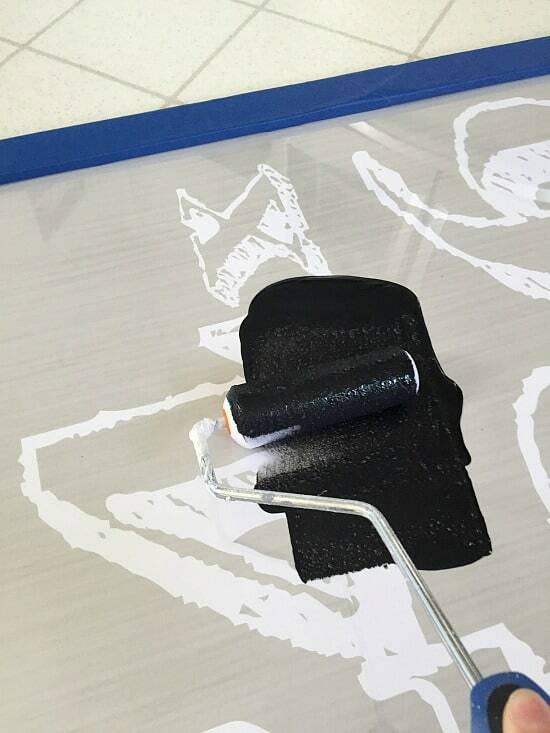 That means the chalkboard paint adheres reallllly well. Let’s add this to my naptime projects collection since this awesome Framed Chalkboard was complete in 20 minutes! Tape the frame to protect it from the paint. 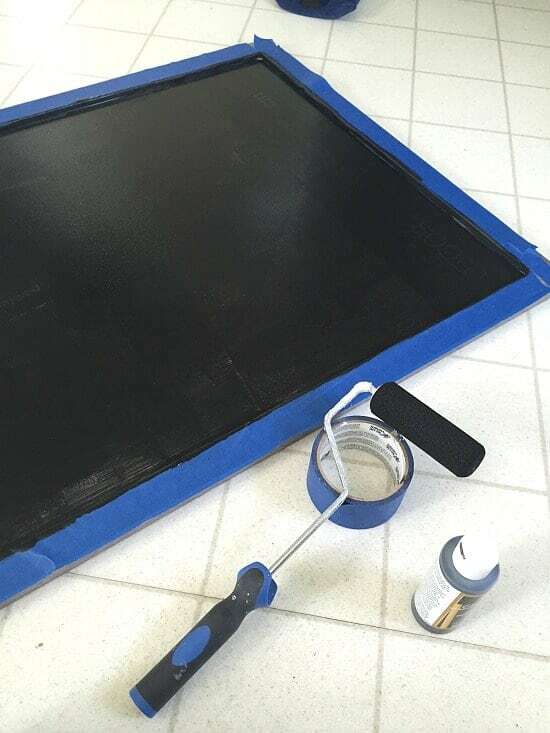 Squirt some chalkboard directly onto the frame and roll vertically (from the bottom to the top). You can go backwards and forwards, just keep the direction vertical. Allow to dry for one hour. Condition surface by lightly rubbing the side of a piece of chalk across it. Add some nice lettering or draw a picture and enjoy! Did you spot the Moss Balls I DIYed a few months ago? 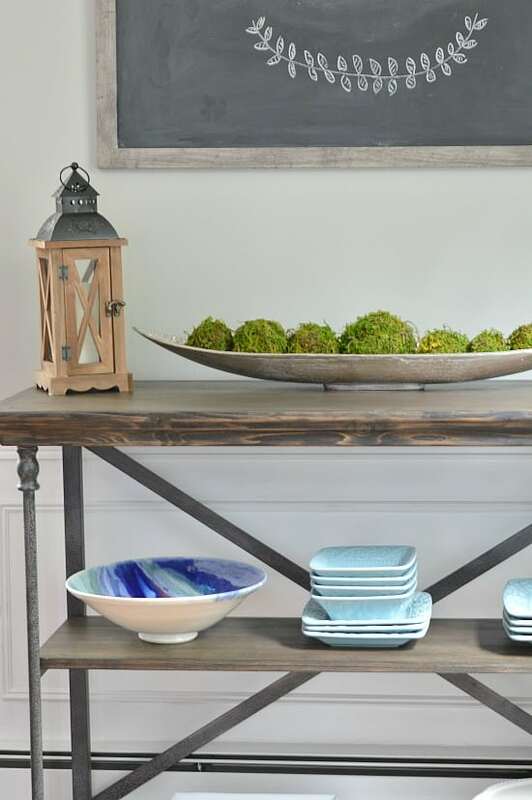 I still love the organic feel they add to my dining room! 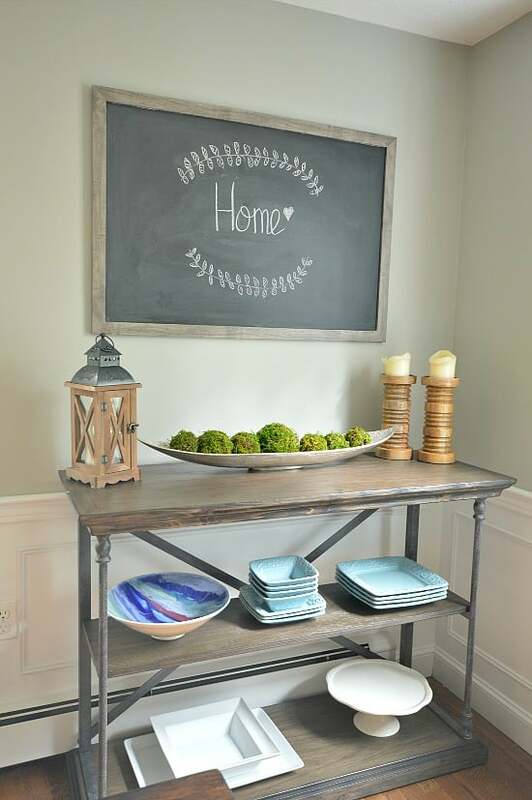 I think this cute Framed Chalkboard will add a wonderful touch to any space in your house. Have a friend who recently moved? It wold make a thoughtful housewarming gift, too! Thank you! Thank you! Thank you! I have been searching for AGES for a large farmhouse style chalkboard and resigned myself to having to make one. But most of the tutorials out there require you to have a circular saw and use all sorts of fancy cuts on the wood. I can’t do that. But I can certainly do this! I guess I’m going to Micheal’s tomorrow!!! Oh I’m so glad it’s been helpful! They still have the same frames at Michael’s too..the plastic instead of glass makes a big difference! That is so easy! Guess we’ll be heading to Michael’s to check out their frames real soon! Pinned. It adds a great farmhouse touch. Love it! This turned out lovely Jenna! 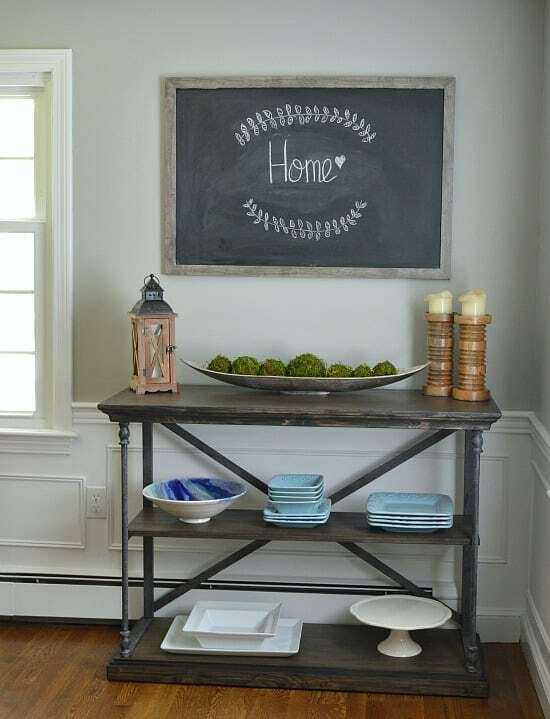 I love a good chalkboard accent!